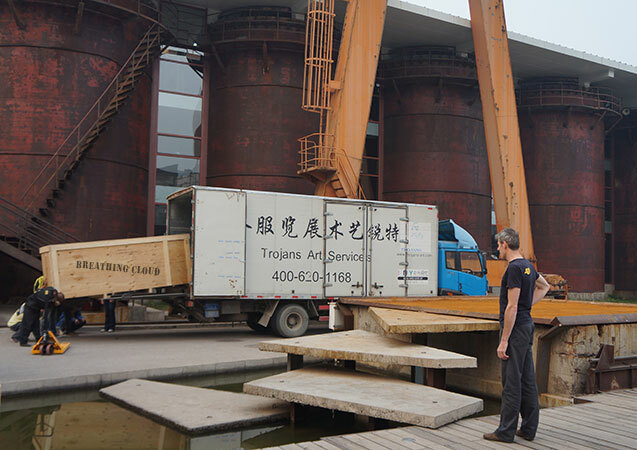 Breathing Cloud is in exposition at Beijing (CN) from 25th of September until 3rd of October. The artwork will than travel further to other cities in China. Breathing Cloud of light artist Dorette Sturm is part of the exhibition Liberation of Light in Beijing Design Week 2011. A 9-day exhibition with Dutch designers, artists and architects who focus on design for enhancement of our quality of life in urban environments. 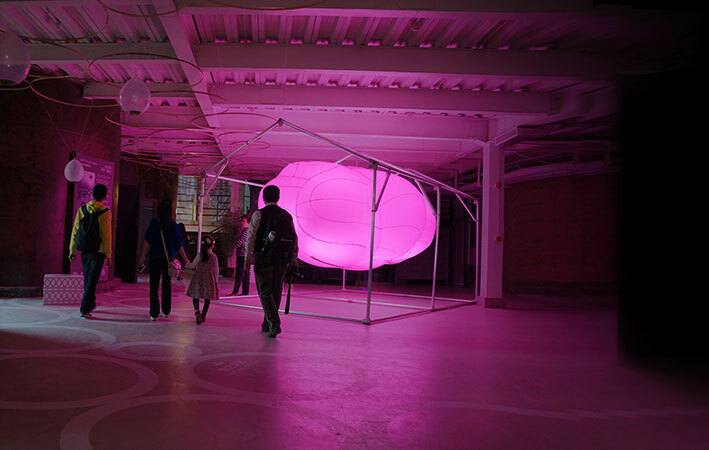 Liberation of Light shows new possibilities and challenges in the use of (led) light: functionally, emotionally, biologically, socially, culturally and regarding control and durability. Liberation of Light makes these fields tangible including Daan Roosegaarde with Dune, Har Hollands with High Tech Campus and Intelligent Light Institute next to Dorette Sturm with Breathing Cloud. Beijing Design Week -BJDW- is an international design event in Beijing from 25 September until 3 October 2011 at various locations in Beijing. 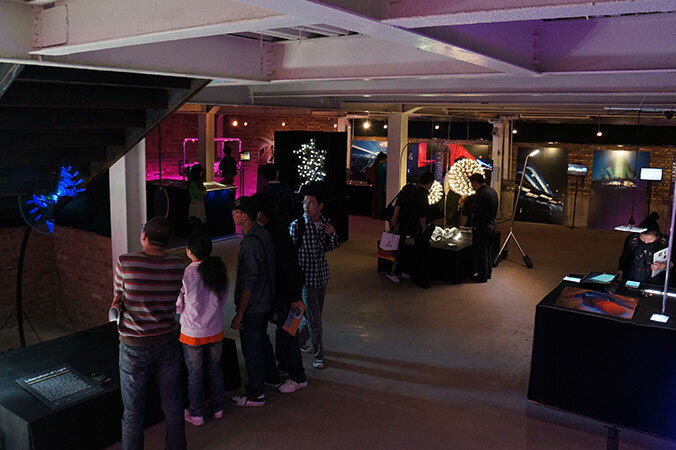 BJDW aims to raise design awareness in China whilst strengthening creative, commercial and government ties between China and the rest of the world. 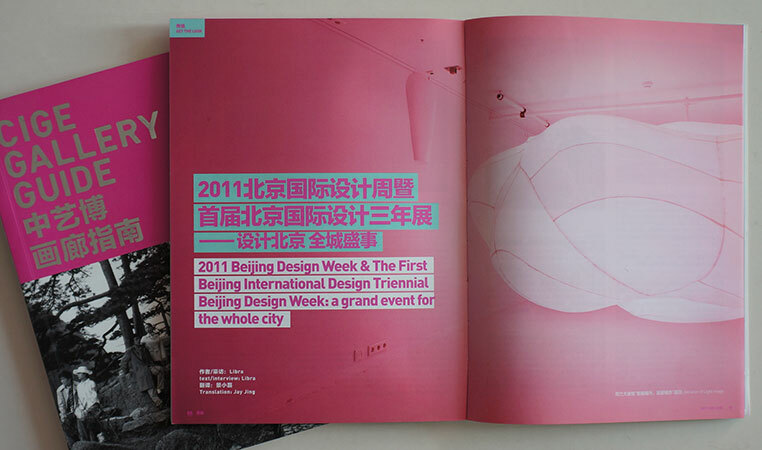 From the 25th of September until the 3rd of October 2011 Beijing will be bursting at the seams with design events of every kind, heralding China's burgeoning design scene and signaling a desire to bring an international design audience to one of its liveliest cities. By invitation of the Chinese Governement The Netherlands take part at the Beijing Design Week 2011. A former gasworksfactory in 751 D-park -a renovated factory park next to the world re-known 798- becomes the Dutch Design Generator. Following the theme "Smart Cities, Healthy Cities". the Dutch program will focus on design for enhancement of our quality of life in urban environments.